NASA's Mars rover rolls into its fifth year on the red planet. Five years after the NASA rover Spirit landed on Mars, the six-wheel robotic geologist and its twin Opportunity are still on the job. 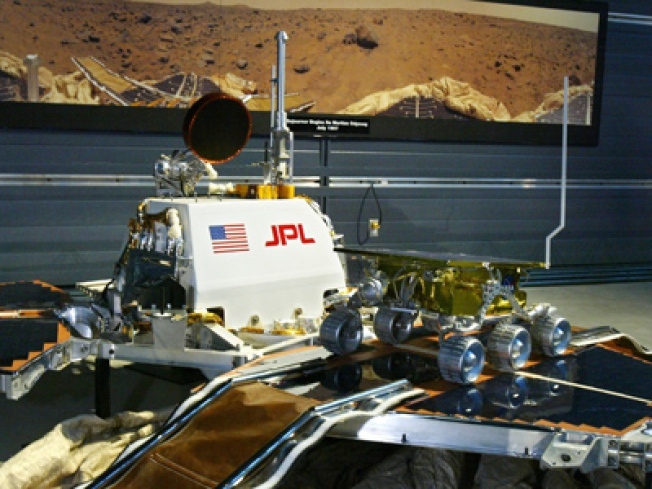 Expectations were far lower when Spirit bounced to the surface in a cocoon of airbags on Jan. 3, 2004, followed 21 days later by Opportunity: The goal was to try to operate each solar-powered rover for at least three months. Before the missions were launched, Orlando Figueroa, then-director of NASA's Mars Exploration Program, had described the rovers as "stepping stones for the rest of the decade" of martian exploration. Instead, they have been studying stones for half a decade. "That's an extraordinary return of investment in these challenging budgetary times," said Ed Weiler, associate administrator for NASA's Science Mission Directorate, in a statement late last month. Combined, the rovers have left more than 13 miles of tracks in the Red Planet's dust and sent a quarter-million images back to Earth as their science tools have uncovered evidence that Mars was once a far wetter and warmer place than the frigid, dusty world it is now. Dust collecting on the rovers' electricity-generating solar panels was expected to be one of the most likely ways that the little robots would die, but winds have occasionally cleaned them. Spirit, however, has an 18-month buildup of dust and its panels were barely able to provide sufficient power during Mars' just-ended southern hemisphere winter. At one point it failed to receive commands, and its status fell to "serious but stable" condition. John Callas, the rover project manager at Jet Propulsion Laboratory in Pasadena, said in the NASA statement that the winter was a "squeaker" for Spirt. "We just made it through," he said. At this point, NASA says, either rover could fail without warning, but mission managers are pressing ahead with plans for more exploration. Spirit, which had to remain immobile for most of the autumn and winter, has begun stirring recently, JPL spokesman Guy Webster said Saturday. Plans are being made to drive it about 200 yards to a pair of sites that have drawn interest. Opportunity, which is closer to the equator and has cleaner solar panels, has been driving toward a 14-mile-diameter crater, stopping on the way to examine interesting rocks.